Perky-Pet 64 fl oz. Ready-To-Use Red Hummingbird Nectar is already mixed so it's so convenient for you and just right for the hummingbirds! The Perky-Pet Ready-to-Use Nectar has been created to suit hummingbirds' taste preference. Made with 100% sucrose, the red nectar in this 64 fl oz. bottle requires no boiling. View More In Hummingbird Nectar. If you have any questions about this product by Woodstream Corp., contact us by completing and submitting the form below. If you are looking for a specif part number, please include it with your message. 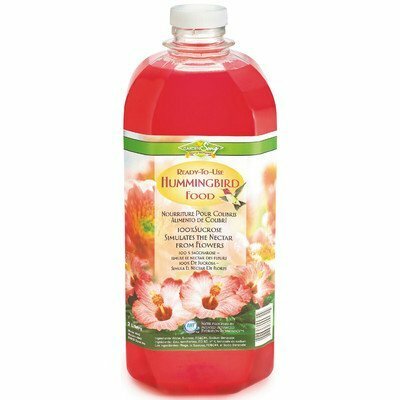 12-Pack First Nature 3056 Red Hummingbird Nectar Concentrate (Makes 16 oz. of Feed Each) 4 oz.